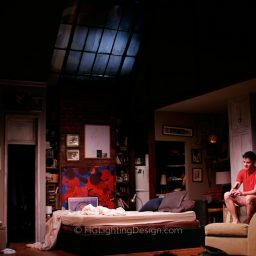 Loaded was produced at New York’s Theater Row. 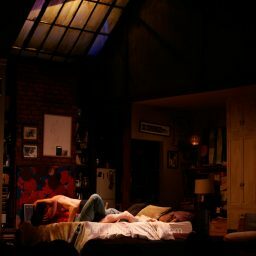 A story about one night spent between an older man and his young lover and the differences in sexual attitudes in the gay community between generations. 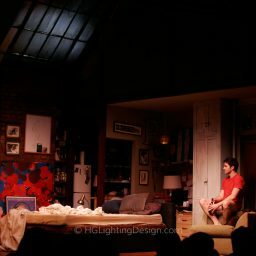 This production had many fun challenges. 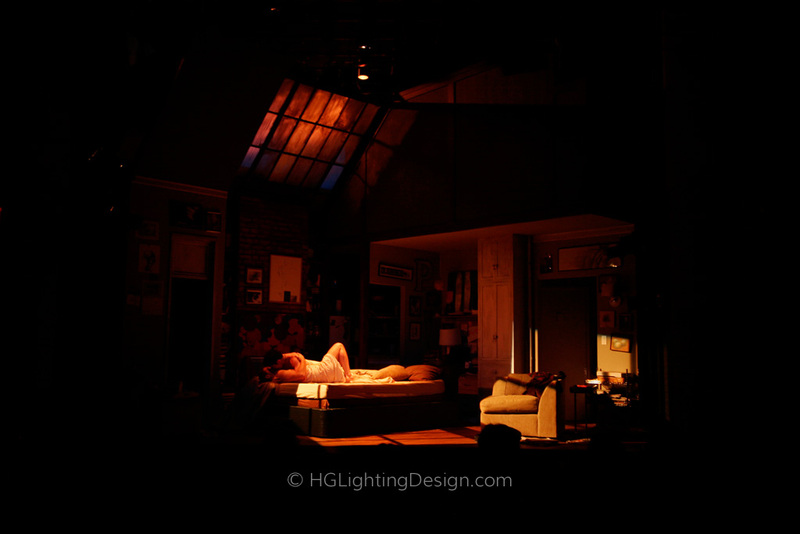 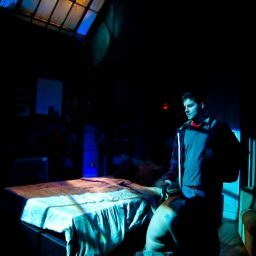 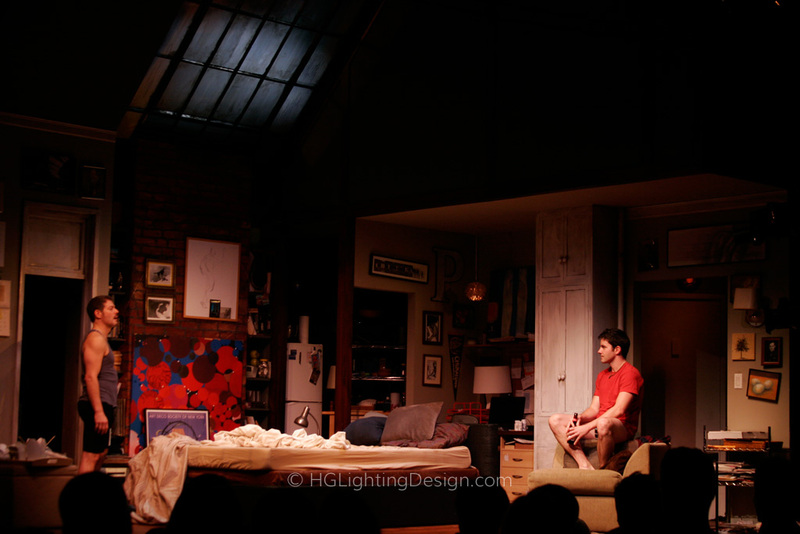 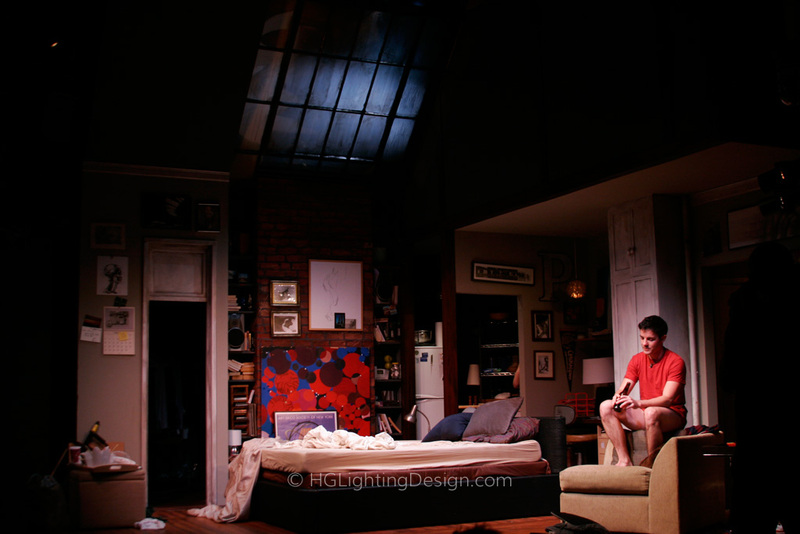 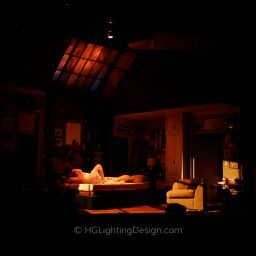 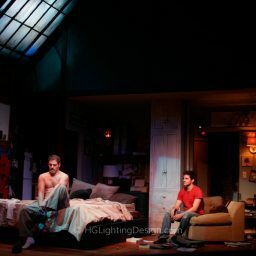 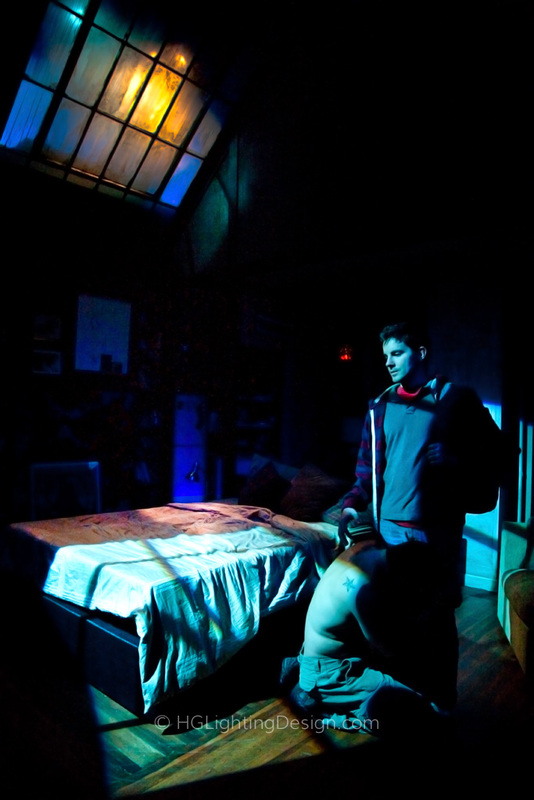 A Beautiful set by Adam Koch with a full skylight above helped us to motivate the lighting as the play takes place in near real time and the light shifts as the moods change to highlight the tension between the two men.